Asheville a city that is edgy, artsy, inviting and provides a charming unique living experience. Asheville has a rich architectural legacy with a mix of Art Deco, Beau Arts and Neoclassical styles which provides a perfect setting for all individual tastes. Asheville is continually voted as one of the best places in the county to live. . Asheville's downtown is also known for a booming central business district area. Asheville has something for everyone. 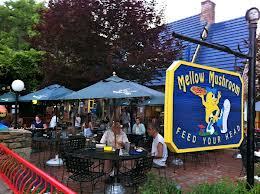 With a total population of over 83,000 people living and working in Asheville. It is the largest city in Western North Carolina and serves as the area's primary cultural and economic center. Asheville is surrounded by the Blue Ridge Mountains, Great Smoky Mountains and the Appalachian Mountains. The historic downtown area has exploded on the culinary scene with fabulous restaurants, unique local breweries and vibrant live music in addition to famous attractions such as the Biltmore Estate, Historic Biltmore Village, Blue Ridge Parkway, Thomas Wolfe Memorial House, Asheville Art Museum, Grove Arcade, River Arts District, WNC Nature Center or the NC Arboretum.Asheville has also become the craft brewing center of the southeast and has been named the "Best Beer City, USA for four years running. NORTH: North Asheville encompasses some of the most beautiful older homes and tree-lined streets in the city, from the stately homes in mountain locations like Ciel, Crest Mountain or Poplar Ridge and also homes in the area of the Grove Park Inn Resort & Spa or the The Fitzgerald at the Grove Park Inn to the established neighborhoods surrounding Lake View Park and the Country Club of Asheville. Further north is a growing community with the addition of the luxurious homes on Reynolds Mountain and the Shops in Reynolds Village. Closer to downtown is the Historic Montford District, filled with family-oriented Victorian homes with large porches and side walked streets. Arts and Crafts cottages flank the Charlotte Street area near Grove Park. NORTH NEIGHBORHOODS:Albemarle Park, Beaverdam, Beaver Lake, Chestnut Hills, Colonial Heights, Grove Park, Hillcrest, Kimberly, Klondyke, Lake View Park , Historic Montford District, Norwood Park, Reems Creek Golf Community. EAST: Take your pick of lifestyles in East Asheville, from impressive mountaintop vistas from Town Mountain's homes and condominiums, just a few minutes from downtown, to the friendly family neighborhoods in Haw Creek, with its central recreational park and ranch-style homes with large yards perfect for gathering the kids together. Chunn's Cove beauty is its mix of farms, townhouses and wooded neighborhoods that feel much more removed from the lively Tunnel Road corridor than their true proximity. EAST NEIGHBORHOODS: Kenilworth, Beverly Hills, Chunn's Cove, Haw Creek, Oakley, Oteen, Reynolds, Riceville, and Town Mountain, Swannanoa. WEST: If Asheville were New York, West Asheville would be its Brooklyn, with its diverse mix of people, lifestyles and businesses. From bohemian to quaint and sturdy bungalows, this up-and-coming community is home to working artists, entrepreneurs, young families and the city's fun and funky River Arts District. Malvern Hills offers older established homes with shady lawns and parks, a community recreation center and streets made for strolling. 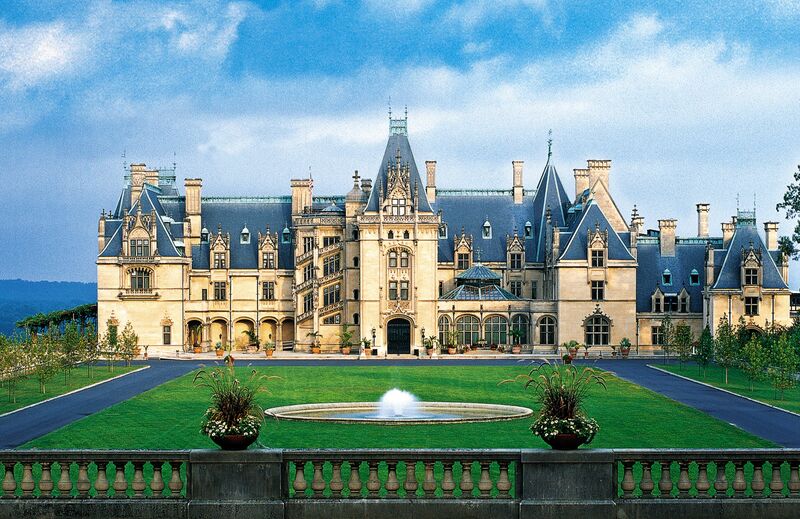 Further west is Enka/Candler with luxury communities such as Biltmore Lake and the nearby The Cliffs at Walnut Cove. WEST NEIGHBORHOODS: Camelot, Wilshire Park, Bear Creek, Deaverview Park, Emma, Hi-Alta Park, Lucerne Park, Malvern Hills, River District, Sulphur Springs, Pisgah View, West Asheville. SOUTH:South of downtown Asheville offers homeowners the option of a charming older home in Kenilworth's shady, welcoming neighborhoods just minutes from the city's center to the elaborate homes in Biltmore Forest, the beautiful wooded neighborhood once part of Biltmore Estate established by Edith Vanderbilt in the 1920s. Historic Biltmore Village adds charm and remarkable architecture as well as exciting retail and restaurants. Further south are lovely older subdivisions convenient to great shopping, dining and businesses along Hendersonville and Sweeten Creek roads. SOUTH NEIGHBORHOODS: Ballantree, Biltmore Forest, Biltmore Park, Biltmore Village, Oak Forest, Royal Pines, Shiloh, Skyland and Luxury communities such as The Cliffs at Walnut Cove, The Ramble Biltmore Forest. CITY CENTER: Downtown Asheville is vibrant and buzzing with exciting nightlife, art galleries, live music, one-of-a-kind shops and excellent restaurants. The downtown area offers a variety of lofts and condominiums with city and mountain views and easy access to all that the city center has to offer. It's a terrific walking town and easy to navigate. The new Pack Square Park in the city's center is alive with activity year-round, and Grove Arcade and the Wall Street and Battery Park areas are filled with al fresco cafes and bars. Artists and street musicians converge with tourists and locals for a vibrant, electric atmosphere rarely found in a city of this size. People sip cups of coffee at one of several locally-owned specialty coffee shops, listen to live music on the streets or at a local club. They go on art walks, winding their way through downtown's 30-plus galleries. Shoppers inspect unique boutique finds, or people simply enjoy fine cuisine and people-watching in a charming downtown setting. The city earned an international reputation as a premier health resort in the 1890s. By the 1920s, Asheville was a destination for the rich and famous, including F. Scott Fitzgerald, Thomas Edison and Henry Ford. Today's visitors find a city steeped in history. Step back in time and experience Gilded Age elegance at America's largest home, George Vanderbilt's 250-room Biltmore House. Relive the Victorian era at the circa 1840 Smith-McDowell House-Museum, Asheville's oldest home. Explore the Thomas Wolfe Memorial, the acclaimed author's boyhood home and the inspiration for his novel "Look Homeward Angel". Much of the architecture in downtown was constructed by the same craftspeople who built the historic Biltmore House. Asheville boasts more Art Deco architecture than any southeastern city other than Miami Beach. 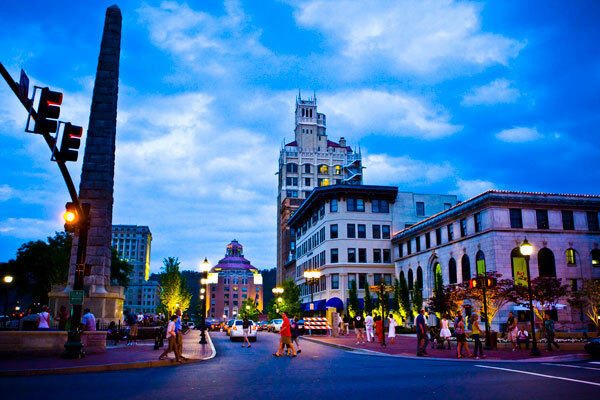 Downtown Asheville is a vivacious living experience and offersgreat award winning restaurants, exciting nightlife, art galleries, live music and boutique specialty shops. Downtown Asheville living offers a variety of lofts, and condominiums with spectacular mountain and city views. 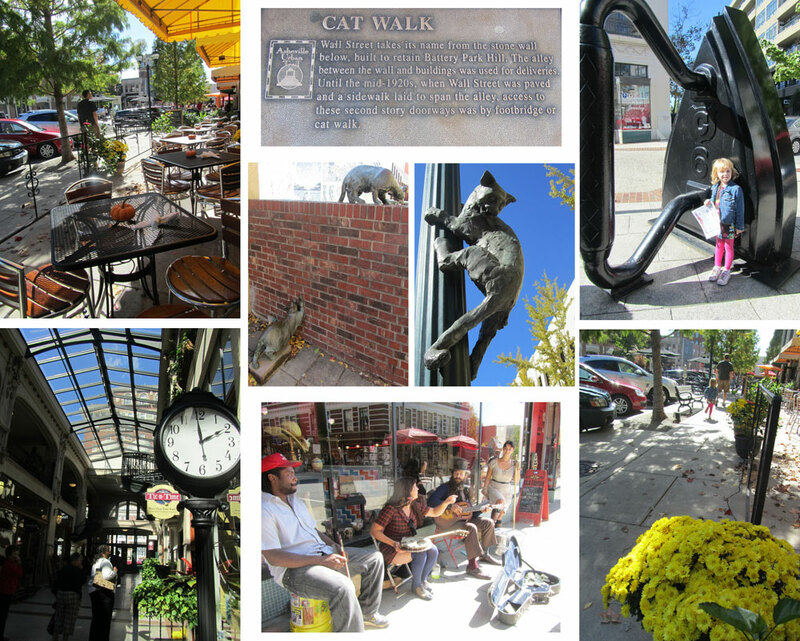 The downtown living experience offers terrific areas to walk and explore the historic areas of the town, summertime festivals and entertainment and music venues. You can experiencePack Square Parkin the center of the city with year round activity, the Grove Arcade with fabulous restaurants and shops, the Wall Street area with unique restaurants and shopping or the Batter Park area filled with cafes and bars and Lexington Avenue offering trendy hot restaurants and some of the best boutique shops in the city. Living in Asheville and Western North Carolina can be both exciting and very worthwhile. Asheville offers a wide variety of homes, condos and rental's to suit every taste. From the higher priced condominium downtown to a wide range of apartments to the simple woodsy cabin, living in this exciting city is rewarding. Asheville is blessed with a superior quality of life, and residents get to benefit from being a homeowner in Asheville. Asheville, North Carolina is nationally recognized as a top ranked tourist destination and has recently seen growth as people in all walks of life pack their bags and relocate to the area. Many people simply know that they want to move to Asheville, NC, but like most cities across the country, Asheville is a conglomeration of numerous smaller communities, neighborhoods and towns. Each of these towns boasts its own architectural style, cultural diversity, and economic makeup, and thus has a separate real estate market. Before you begin your real estate search in the Asheville area you should have at least a basic understanding of the communities and their relative positioning. Engaging a good real estate company will save you time and money in purchasing or selling real estate in this area. Call Asheville Realty & Associates (www.ashreal.com), our agency is one of the oldest,most trusted and reputable agencies in Western North Carolina. Our success is our client's happiness. Our agency can make your property search a successful easy process. Specializing in Residential, Luxury, Commercial and Foreclosure or Short Sell real estate.